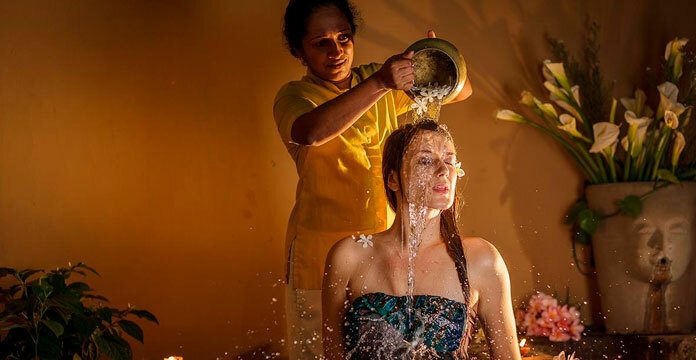 On the untamed coast of Yala’s wild environs, a cosmopolitan course of global culinary favourites and a traditional menu of local specialties are delightful pleasures of our Sri Lankan hospitality at Jetwing Tented Villas. Comfortably abandoning the concept of a dedicated restaurant which is due to open in the near future, we have carefully designed each luxury tent and its surroundings to serve as your private dining room on the edge of Sri Lanka’s southeastern shoreline. 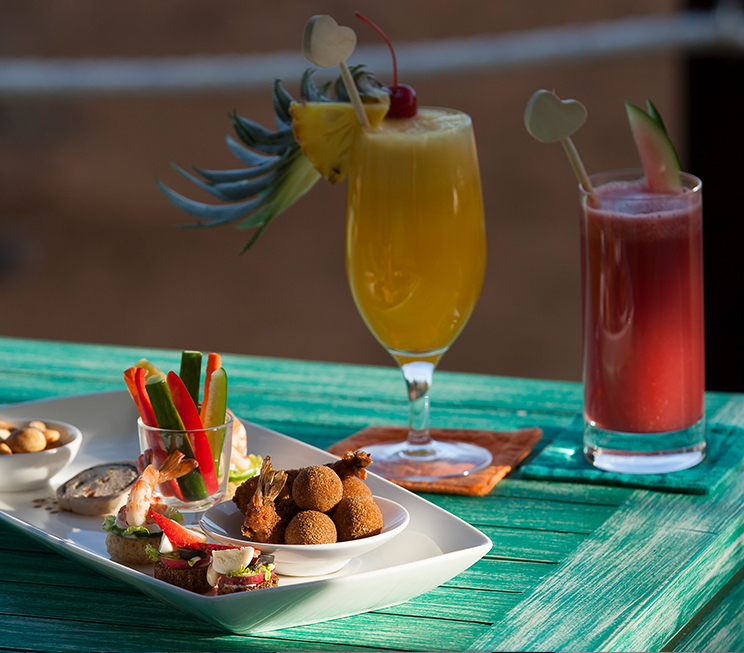 Choose to sip on seaside cocktails at our breezy Beach Bar at the edge of the sea, and dine from the privacy of your own tented villa, or even on the wooden deck outside as you listen to the sound of the waves crashing beyond. 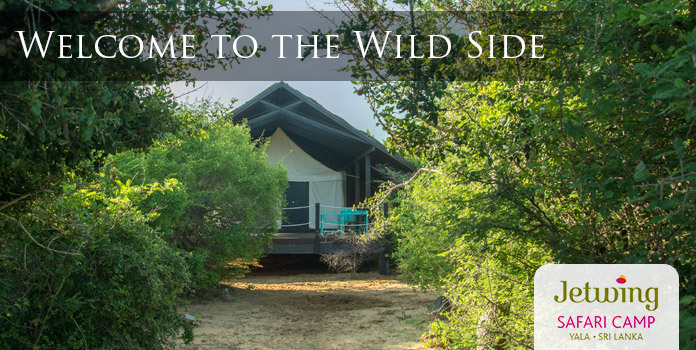 For the more adventurous, an alfresco experience amidst the coastal wilderness can be arranged, along with a special setting atop the Yala dunes, under the starlit sky of our tropical isle. 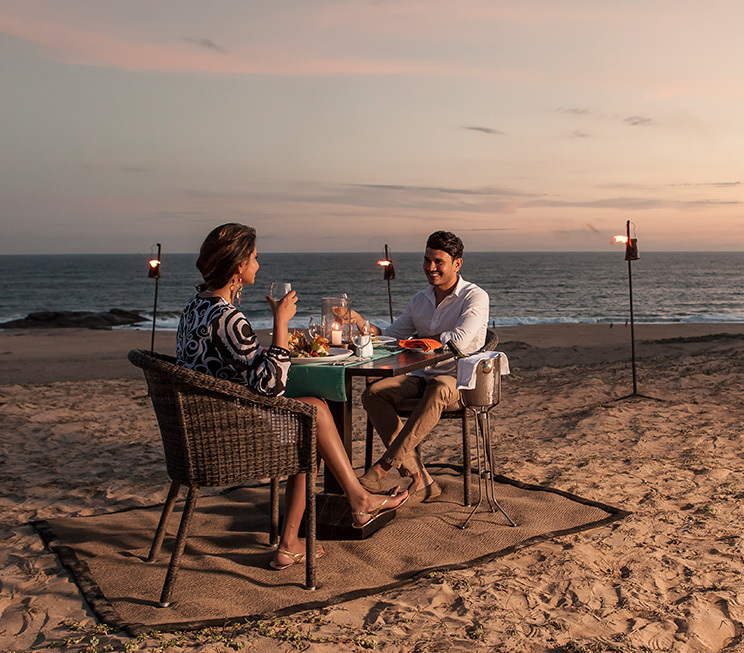 For a more traditional experience, you are also welcome to enjoy your food and beverage at any one of our five dining options with our family at Jetwing Yala – located just short buggy ride away. Beyond our restaurants which serve a selection of Sri Lankan, globally inspired, and Asian fusion cuisines in the coastal wild, our three bars also present an open invitation for cocktails by the Indian Ocean – be it in the lobby, by the pool, or on the sandy beach of Jetwing Yala. Sip on tropical cocktails at the edge of our vast blue seas.